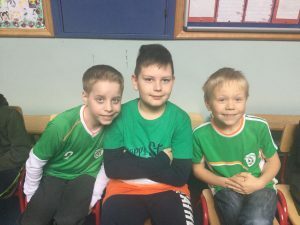 Bhí Seachtain na Gaeilge ar siúl i Scoil Barra ón 11ú Márta go dtí an 22ú lá de mhí an Mhárta. 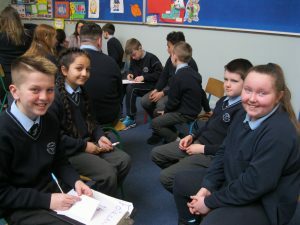 Seachtain na Gaeilge took place in Scoil Barra from March 11th to March 22nd. Bhí a lán gníomhaíochtaí suimiúla agus spreagúla ar siúl i ngach rang. 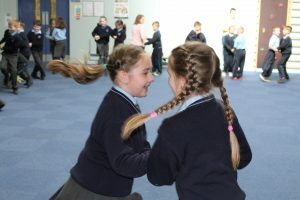 There were a lot of interesting and exciting activities going on in every class. 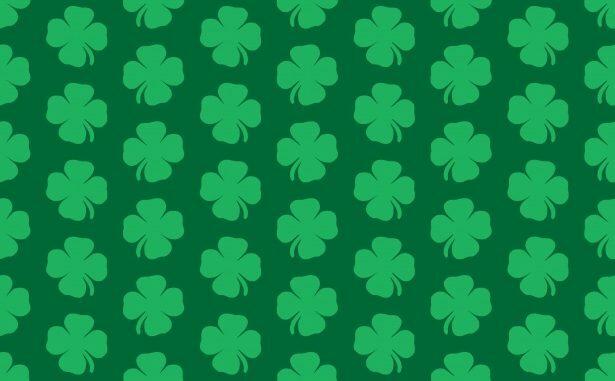 Bhí céilí ag gach rang agus rinneamar go leor damhsaí éagsúla. 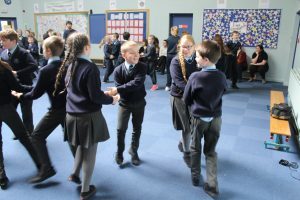 Every class had a céilí and we did a lot of different dances. Bhí ceolchoirm ag rang a trí go dtí rang a sé. Bhí ceolchoirm ann do páistí ó rang na naíonáin go dtí rang a dó freisin. 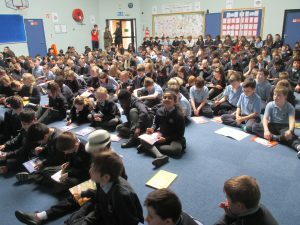 There was a concert from third to sixth class. 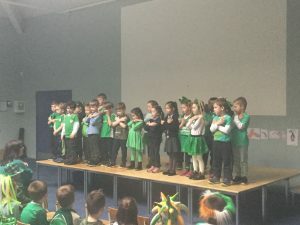 There was a concert for children from infant classes to second class too. Bhain ranganna a trí go dtí a sé triail as Biongó! 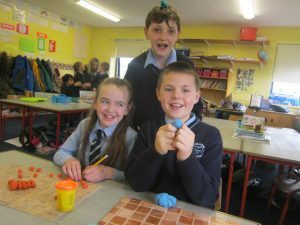 Third to sixth classes had a go at Bingo! 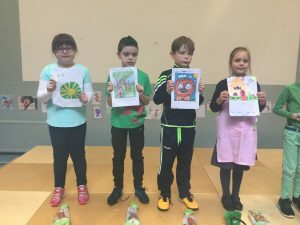 Rinne rang a trí agus a ceathair Aistear ag úsáid na Gaeilge. 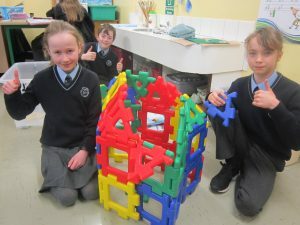 Third and fourth class did Aistear using Irish. Bhí dhá tráth na gceist againn do na ranganna sinsearacha. We had two quizzes for the senior classes. 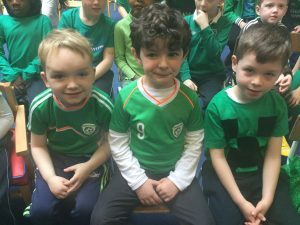 Bhí comórtas ealaíne ann do na ranganna sóisearacha. 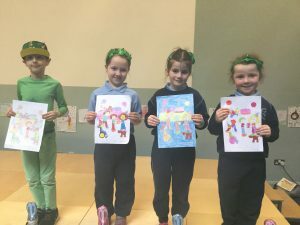 We had an art competition for the junior classes. Ar an lá deireanach bhí Lá Glas againn. 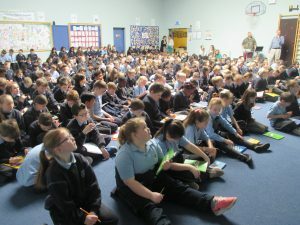 Bhaineamar an-taitneamh as ceilúradh Seachtain na Gaeilge i Scoil Barra! On the last day we had a Green Day! 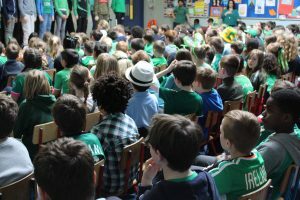 We really enjoyed celebrating Seachtain na Gaeilge in Scoil Barra. Good Luck to Rebel Acro from Scoil Barra!